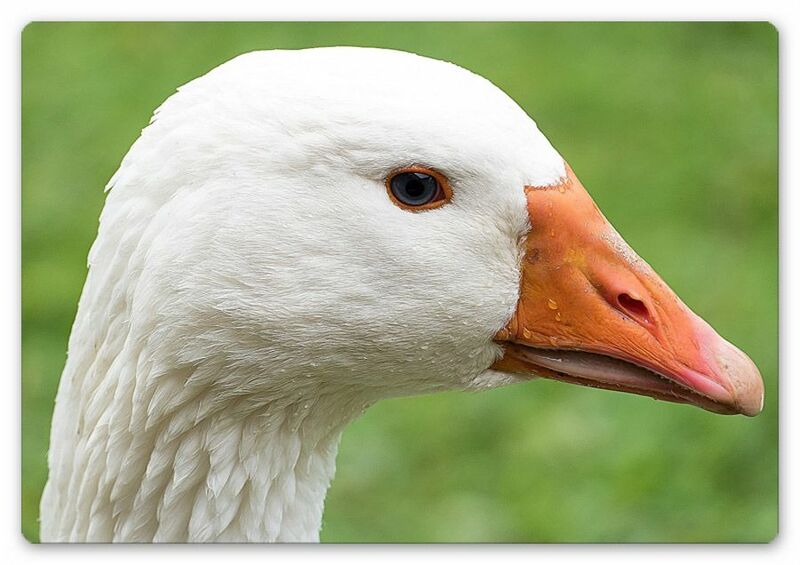 In California, a federal judge has lifted a state-wide ban on the sale of foie gras, which is made from the engorged liver of ducks or geese that have been force-fed. Foie gras is made by shoving hard metal pipes down the throats of geese and ducks and force feeding them several times per day. The animals’ livers become diseased and swell to up to 10 times the normal size. The birds suffer greatly, are petrified of the next feedings – which occur several times a day – and can often not walk or groom themselves by the time they are killed, and are in total misery. Foie gras is French for fat liver, and Fathead is the American word for the shameless chefs who actually need a law to make them stop serving the bloated, near-bursting organ of a cruelly force-fed bird. A line will be drawn in the sand outside any restaurant that goes back to serving this “torture in a tin” and whoever crosses that line identifies with gluttony that cannot control itself even to the point of torturing animals. 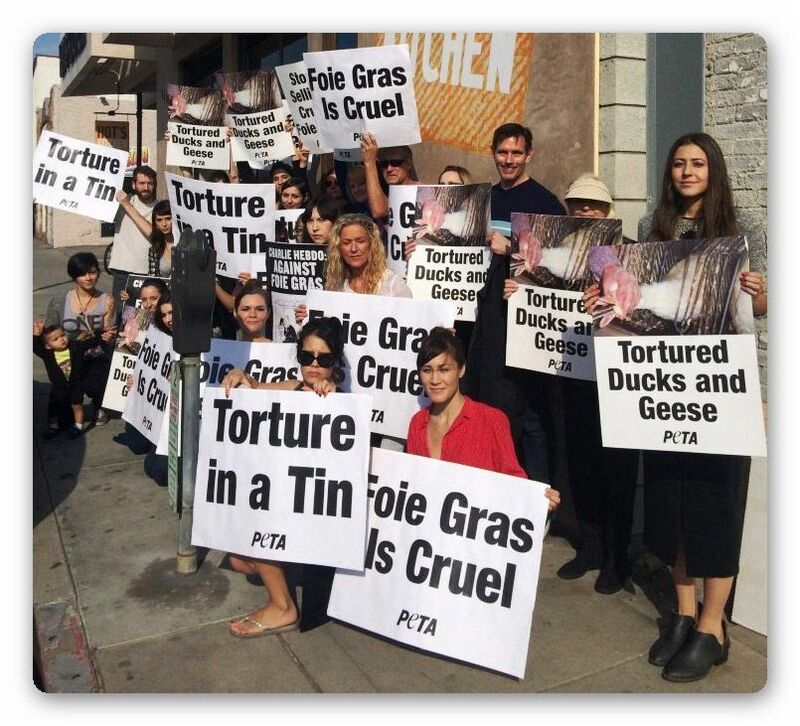 And no one should forget that the court found that it is still illegal to force feed a bird and produce foie gras in California, although it now allows foie gras produced in other states that allow such cruelty, to be sold in California. The state will surely appeal the bad part of this ruling, and PETA believes that this decision will be reversed on appeal.